The other week we published an article on a simple way to increase the results of email marketing using segmentation. That is, organizing a large email list into smaller lists based on certain criteria in an effort to establish more targeted email campaigns. Today we are answering the most popular question we received from our clients: are there any specific examples of email segments they can use for their practices? The following four examples are good places to start. Develop an email list of potential patients (also known as “leads”) who come into your practice for a consultation, but have not yet scheduled or received treatment. Convert leads into current patients (i.e. they schedule or undergo a treatment/procedure). To get their attention, send potential patients more information about the procedure they were interested in during the consultation. You could send them an email from the doctor, FAQ’s about the procedure, and even offer to help them with any questions they might have. When they do convert, transfer them to a “current patients” list and continue to maintain the list of prospective patients who haven’t yet scheduled a procedure. Sort your patient list according to any procedures they have received. Have patients return to your practice; create loyal customers. Send emails advertising specials or information about relevant procedures. For example, patients who have had an anti-aging procedure might be interested in another procedure that could help complement results from the first one. Or, patients who have had treatments that need to be repeated (like BOTOX® Cosmetic or dermal fillers) can be sent reminder emails. Create additional email campaigns to cross promote procedures that are relevant to patients’ procedural histories. Sometimes practices have multiple locations or relationships with certain areas. Separate patients by geographic regions. Be able to send location-specific messages to patients. Send emails to patients about news relevant to a practice location (special events, holiday hours, etc). If one of your practice locations is doing any community outreach, send emails to invite patients to join you. A personal referral is one of the most powerful sources of leads for a practice. Identify your patients who are your most loyal customers and who promote your practice to others. For a referral program, create an email list of patients who have recommended your practice. To identify and thank your brand advocates while utilizing their loyalty to generate more business. Acknowledge their support. 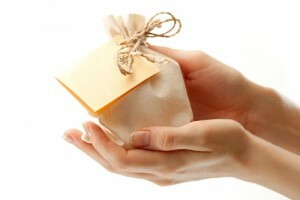 As part of a referral program, send thank you emails in addition to the gift they receive for referring someone. Give them special access to your practice, such as inviting them to try new products in advance of regular release. Reward and encourage their business by offering a loyalty program or birthday month specials. You can even utilize loyal customers by asking for their opinions on appropriate practice issues in surveys. By segmenting your email lists, you will be able to meet specific goals and provide your patients with relevant information. Once you become comfortable making email segments like the examples above, you can begin thinking of ways to customize additional segments for your practice. For help establishing an email marketing campaign for your practice, contact us.